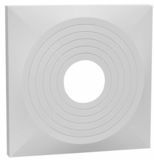 Our popular supply and return products for T-Bar ceilings are an innovative response to the challenge of creating a better indoor environment. 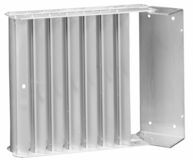 T-Bar products combine clean appearance with installation ease, and include critical design details to ensure consistent performance. Glass fiber insulation minimizes condensation, and the aluminum foil vapor barrier protects the insulation from moisture, if condensation occurs. 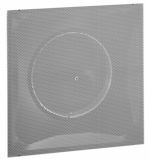 Patented adjustable deflectors permit a variety of directional patterns and minimizes static pressure loss. A unique modular collar system provides a standard collar and damper unit, which can be shared between a number of different T-Bar products. In addition, Hart & Cooley offers specialty T-Bar products to meet specific design demands. 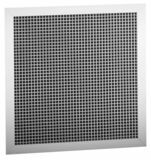 Surfaire® diffusers feature deflector apertures that enhance mixing of conditioned air.